Rosso Service is Maryland's premier Authorized, and certified Bentley service center, offering diagnostic, maintenance, and repair services. Schedule your Bentley maintenance, major service, or repair today! From basic repairs to full Bentley restorations, Rosso Service is Maryland's best Bentley service center. 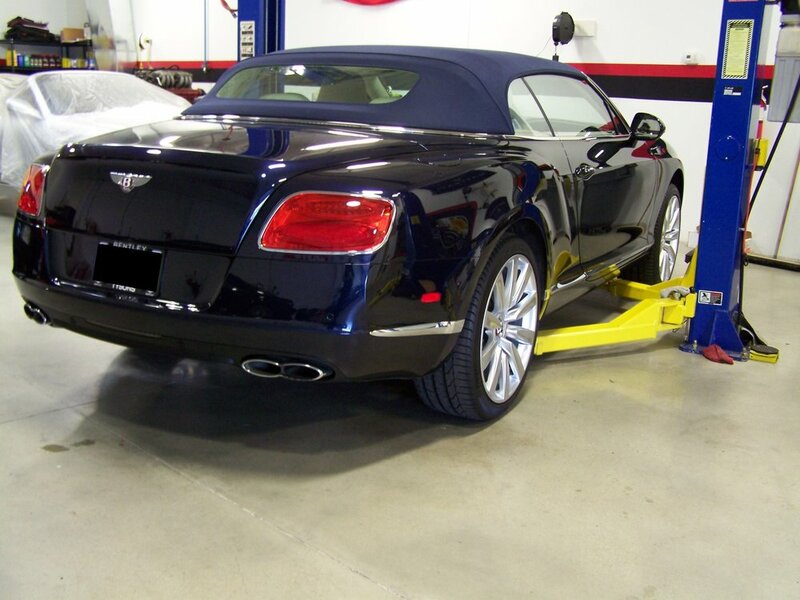 If your Bentley has been damaged or has components that need to be repaired or replaced, in most cases you will need a repair center with specialized training, tools, and certifications to properly service your car and get it back to proper working order. At Rosso Service, our Bentley repair technicians have factory training and masters certifications from exotic car manufacturers, meaning we have the experience and expertise in Bentley repair where other auto repair shops fall short. Our owner, Scott Lankford, has more than two decades of experience in the auto industry with more than 18 of those years specializing in Bentleys and other Italian and British and German exotics. As crew lead at Scuderia Ferrari of Washington for eight years, Scott has seen and repaired it all, so trust that when you come to Rosso Service for Bentley repair in Maryland, you are putting your car in the hands of one of Maryland's most experienced Bentley technicians and Bentley Mechanics in Maryland. Regularly scheduled maintenance can help keep your car running better, for longer. Unlike more popular cars on the road, Bentley's require specialized care that you simply cannot receive at most auto service centers such as unique oil changes. At Rosso Service, we allow you to skip the dealership, but still provide exceptional, highly-specialized Bentley maintenance service. From routine factory recommended maintenance services to brake and suspension service and replacement to drive train maintenance, Rosso Service can help keep your Bentley running like-new for many years to come. Have a Bentley in need of restoration work? The experts at Rosso Service have years of experience restoring Bentleys to like new condition. We take pride in every restoration project we perform and go the extra mile to make sure that the final product meets your expectations. We take the necessary time to fully understand the entire scope of your project by identifying all the needs of the vehicle and balance that with your requests as the customer. If you are looking for a Bentley service center in Maryland that you can trust, give us a call at 410-638-2886, email info@rossoservice.com or fill out a contact form today to discuss your needs, or schedule a private appointment for your Bentley repair, service, maintenance, or restoration needs.